A Pittsburgh-area athlete graced the cover of Sports Illustrated today. It wasn’t a Steeler, a Penguin or a Pirate. It wasn’t a Pitt football or basketball player — nor a boxer or golfer. It was a 5-foot-2, 25 year old female soccer player who grew up in Gibsonia – Meghan Klingenberg. Soccer has become a part of our sports landscape — even in what has been a region that has been slow to grasp it wholly. The discussion will once again heat up about soccer’s relavancy in our more than traditional American sports market where pro Football, Baseball and now Hockey seem to have most people’s attention. There are the naysayers out there. There will continue to be, as there is clearly a generational gap between those who pass on soccer, and those who embrace it here in Pittsburgh. While Pittsburgh may not be in position to embrace a professional team at the highest level any time soon (a different topic for a different day), soccer is becoming more and more relavant to more people in our region. There were various watch parties held in packed bars — and the City of Pittsburgh hosted a viewing of the World Cup Final before a big crowd at Schenley Plaza. This was the second year in a row that a World Cup brought the masses to view the games in big crowds in Pittsburgh. I am sure it helped that a Pine-Richland High School grad played every minute for the United States Women’s National Team — grabbing the spotlight in the second game of the tournament with her saving header to preserve the U.S. shutout. Klingenberg was rock solid throughout — playing flawless for a back line that didn’t surrender a goal for a very long stretch of the competition. The U.S. women captured their record third FIFA Women’s World Cup by defeating Japan soundly, 5-2, in a final played before a record-breaking viewing television viewing audience back here in the United States. It was the highest rated soccer game in our country’s history. 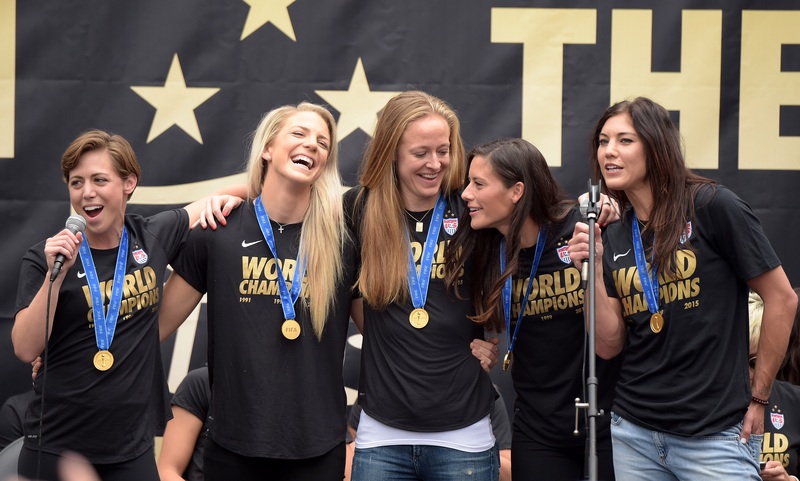 After lifting the Cup a week ago Sunday in Vancouver, some of Klingenberg and her teammate’s stops have included a rally in Los Angeles, appearances in a variety of International media — and a ticker tape parade in the Canyon of Heroes in New York City. Now Pittsburgh — get ready — because you’ll be seeing quite a bit of this unlikely hometown hero in the coming weeks. 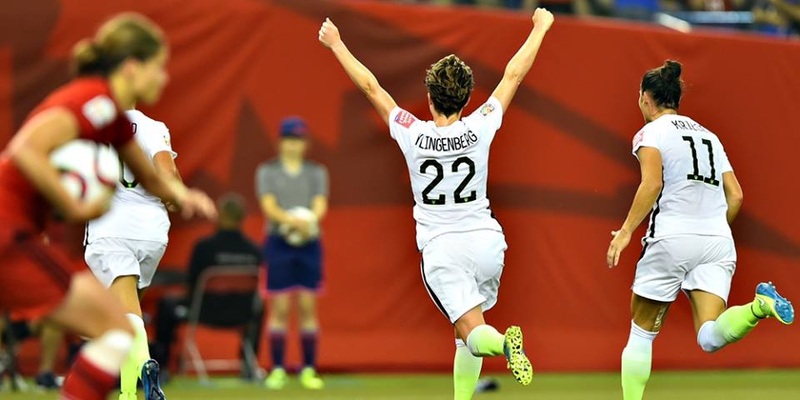 On Saturday night, Klingenberg will return home as the special guest of the Pittsburgh Riverhounds before their 7 p.m. United Soccer League kickoff vs Louisville City F.C. at Highmark Stadium. When she was last in Pittsburgh, prior to the World Cup, Klingenberg announced that she will be back in Pittsburgh not only to make a special appearance at the July 18th game, but also to partner with the Riverhounds in promoting her soccer camp after that. And it won’t end there, as you probably know, on August 16, the USWNT will play its first match since lifting the Cup right here at Heinz Field against Costa Rica in a friendly. with more than 30,000 tickets reportedly already being sold for the match, shows that Pittsburgh is getting on board and soccer is on our radar.